Javea. Can you see why we like it here? Parador at the far end of the beach. Not that we stay there! We know our place. 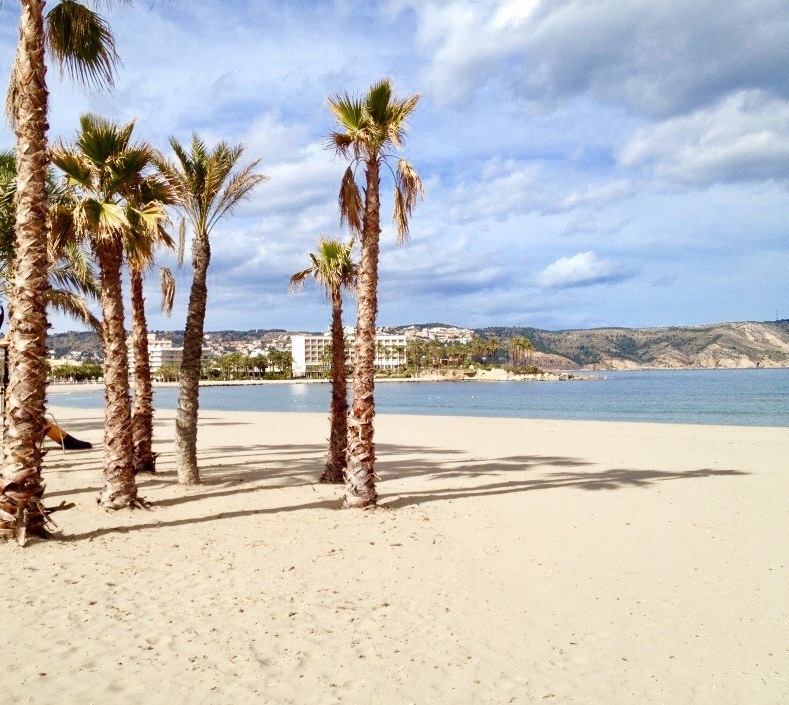 We’ve been in Denia and nearby Javea for a couple of days. That's the Costa Blanca, about halfway down the coast from France. Just above Calpe which is itself just above Benidorm. We spent a day, or much of it, in Benidorm and now we've moved on. We know this area well and spent a couple of winter months in and around here two years ago. Back then we had a camper van. 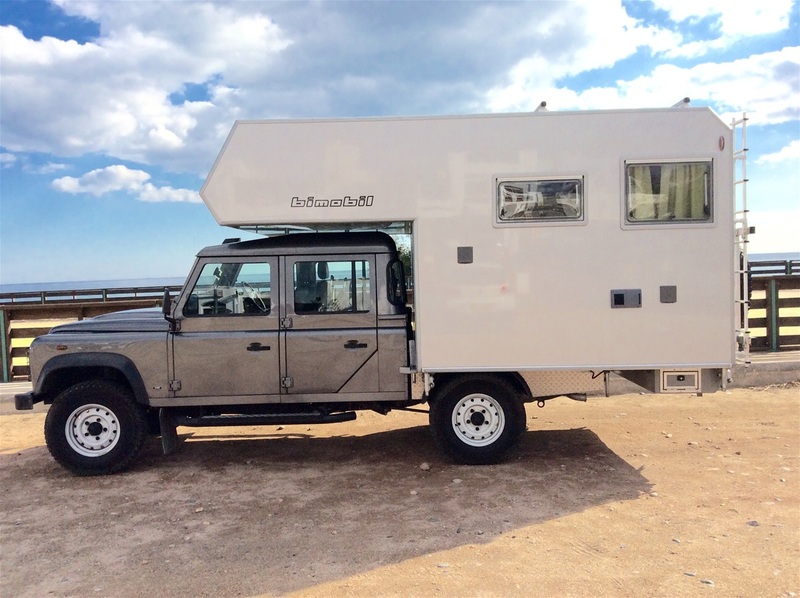 Bigger than a classic VW camper, but not grand enough to be called a motorhome. Not by us anyway. We spent the best part of three years on the road back then, in three different vans. Just the two of us indulging our, inexplicable to most people, desire to live within the confines of a poky little van and swan around Europe going wherever the mood took us. That desire has never left us and we doubt it ever will. We usually ‘rough camped’ – we prefer this term to its alternative, ‘wild camping’ for reasons that escape me now - in areas of outstanding natural beauty and booked into a camp site every three or four days or so when we needed to charge batteries, have a decent shower, empty tanks, etc. We like rough camping. It probably sounds more adventurous than it is. We’re adventurous by most people's standards I suppose, but we're not stupid. No pulling off the road in the middle of nowhere and settling down for a night’s kip. We did plenty of that in New Zealand, where we got the taste for it, but plenty of places in Europe have just a tad more crime risk about them. We look for a collection of vans and ask if we can join them. The motor-home community being what it is, nobody ever tells us to clear off and find our own place. Sunny days and mild nights spent on a vast deserted beach within easy walking distance of shops and cafes; that’s about as good as it gets. We went and found one of our favourite stops. In Denia. 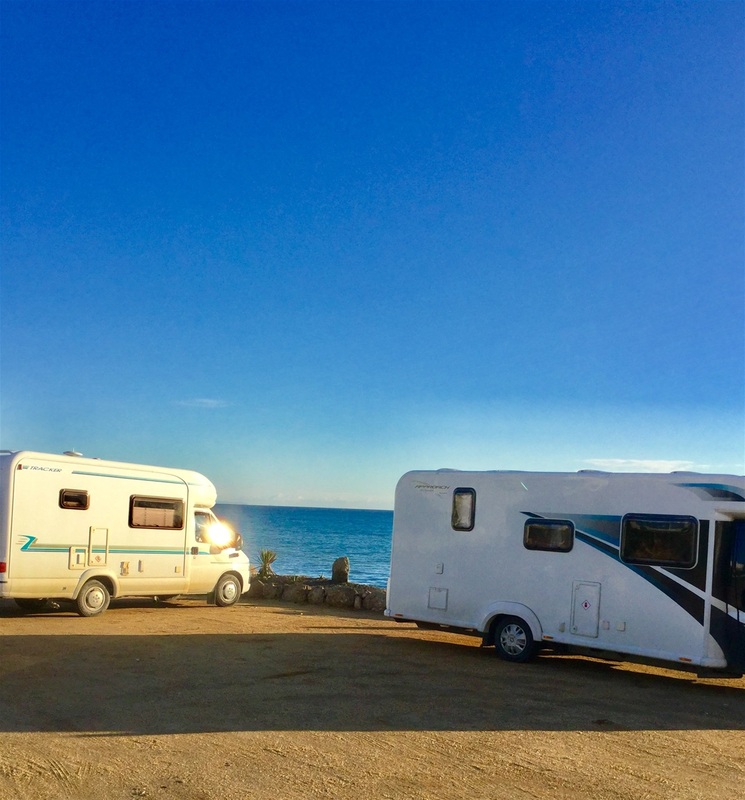 We prefer Javea, just up the road which is considerably smarter, but Denia is better for ‘rough’ or ‘wild’ camping. There are four vans left here today. 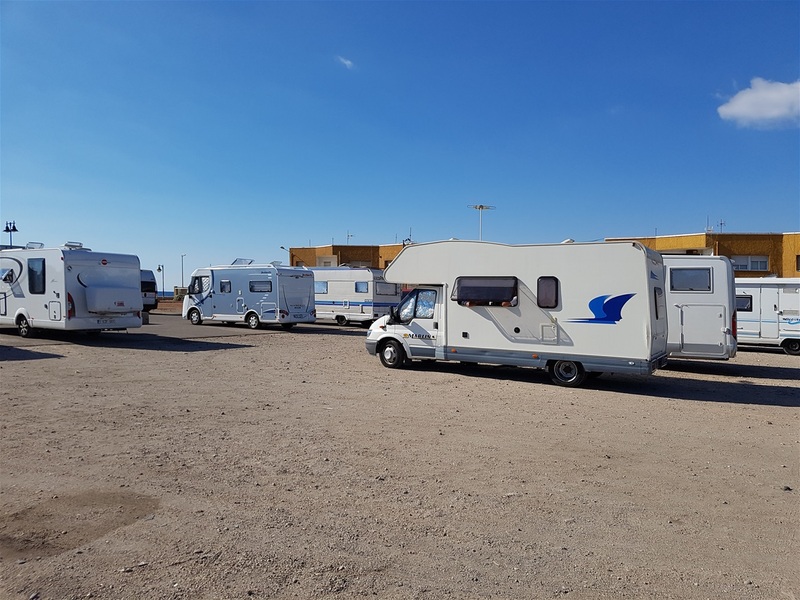 Earlier there were seven, but when we came past later the German campers had packed up their massive A-classes, each costing more than a terraced house, and moved on. Those that remain are big old vans, Dutch owned and all dwarfing our former feeble domicile. When we returned from a day travelling around the area, doing a good deed on the way which was our reason for being here, the Dutch owned vans were still there. No camp sites for them! Dutch motor-homers have a bad reputation. Their propensity for carrying everything they could conceivably need for a ten-year absence, even for a weekend break, means they don’t patronise shops and restaurants which offends the locals. I like them. The Dutch may be unfeasibly large – and I’m not exactly cut out to be a companion for Snow White – but they’re cheerful, helpful and, in common with the equally large Scandinavians, they all speak excellent English and are happy to talk about football all night long. Marigold isn't at her best when it comes to talking football, but it's always a pleasure to chat away to a kindred spirit and even better if they speak English. Yes, I know I should have greater linguistic skills. I speak reasonable French, without ever being likely to pass as a Frenchman, can cope with spoken/broken Spanish up to a point, but am only truly fluent in English. Marigold's ability to express herself by gestures is remarkable and works equally well in Paris, Rome, Inverness or the remote heartlands of rural Romania. It's not all good though. In our experience, the worst time to be in the company of any vehicle bearing the letters NL is a border crossing. Drug smugglers, the Dutch, every single one. Apparently. See, there’s that national stereotyping again, this time it’s customs officials who hold these bizarre opinions. We once crossed from Italy to Germany in the company of two vans registered in the Netherlands. We’d spent the best part of a week with them and got on splendidly. When the customs men, apparently asleep until then, clocked the NL badges they sprung into action and waved imperious arms towards a windowless shed. We were swept up in the herding process. A presumption of guilt by association perhaps. It took all my powers of persuasion and most beguiling air of outraged innocence to avoid being frogmarched into a cubicle and strip-searched. Customs officers are a humourless bunch. 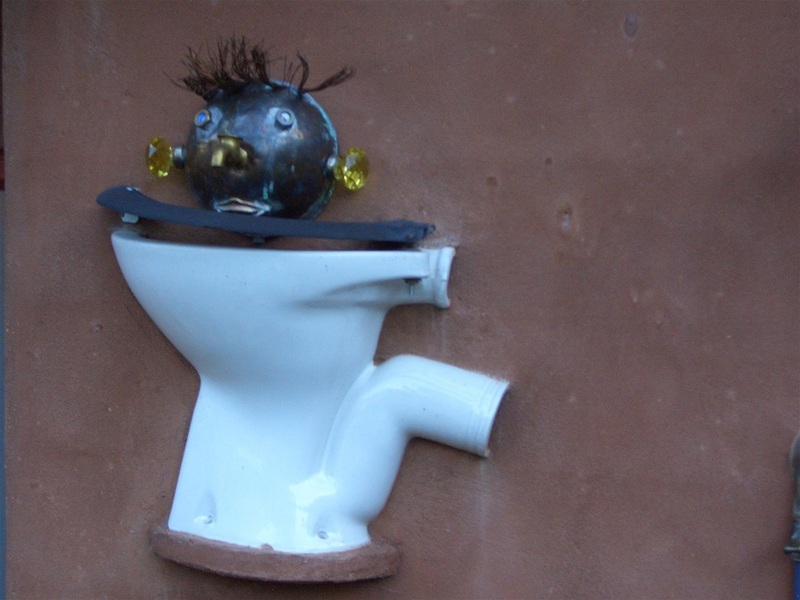 The most humourless of all was assigned to me. His visage haunts me still. One look was enough to convince me he’d like nothing more than to carry out a rectal search of a handsome young Englishman. Okay, I’m pushing it with ‘young’ and even more so with ‘handsome,’ but I’m viewing myself through the eyes of the minimally discerning here. I even speculated on the fortunate ‘perks of the job’ for a man who I imagine would be happy to pay good money to thrust a stubby finger up a posterior orifice or two. The speculation being silent, obviously. Marigold and I walked around, admired the venerable vans with many miles on the clock and chatted to their owners. Yes, we knew this camping spot very well and yes it was a very pleasant place to spend a week or two. The campers were a few years younger than ourselves, but easy enough to talk to. I passed on a few books, just paperbacks we had both read, and we told them about a good place to camp further down the coast that they hadn't heard about. The last time we stayed here it was in the company of some lovely people from Holland. Two of them, a married couple, were research chemists taking a sabbatical to write a book. ‘How’s it going?’ We’d asked. As we walked back to our car Marigold reminded me of that last occasion and we wondered if they ever finished writing their books. I laughed. Oh yes, I remember the dogs. Thinking back to the events of that day we laughed as we drove away reliving a remarkable discovery that would have excited Sir David Attenborough himself. Having parked up, senior management had sent me on a trip across the sands to fetch the supplies I’d somehow managed to forget. I left behind an all-female camp, the men having been absent all afternoon, watching Ajax play football on tv in a local bar. I grumbled about my designated shopper status while other men were off following manly pursuits in dingy bars, but then did the sensible thing and set off across the sands. An hour later, I returned to find three Amazonian Dutch ladies and my wife, like a prettier version of Toulouse-Lautrec in that company, cowering inside our van. It wasn't a big van. I looked around. Not a soul for miles. Dogs? I looked all around. Not even a toy poodle to be seen. ‘No dogs here,’ I called out. As I was about to sound the all clear, out of the sand dunes bounded four dogs. The one in the lead was nowhere near as big as a horse. Not much bigger than a donkey. Not a small donkey though. His three companions, smaller but still well into ‘hound’ territory, held back a pace, presumably waiting for their leader to sound the order to charge. The great beast came to a juddering halt, licking his lips and looking as if he’d just returned from terrorising Sir Henry, the last of the Baskerville clan in the wilds of Dartmoor. I like dogs and I’ve yet to be bitten by one. It would be wretched luck if the animal facing me was to be the first. The old circus trick of a man with his head in the lion’s mouth sprang to mind. I whistled and he cocked his head. A head as big as an engine block. He didn’t appear to be threatening me. I took two steps closer and he blinked but made no move. Just a freakishly large canine who’d snaffled a little too much growth hormone somewhere along the line, I reckoned. Beneath his size, a dog like any other and I get on well with dogs. Thirty seconds later the terrifying beast from the sand dunes was licking my hand and his cohorts were bounding around begging to be noticed. I walked my new tribe back to the van and called forth the besieged inhabitants. Biscuits were produced and consumed with great relish accompanied by much tail wagging. The lead dog was found to be chipped and presumably had a doting owner somewhere nearby while the others defied the notion of wildness by displaying a readiness to ‘sit’ in preparation for receiving a biscuit. ‘So, that was the wild dog pack of Denia,’ I said when we were on our own and the dogs had bounded back into the dunes from whence they came. This is more like it. Fancy a different view tomorrow? Just move on. The owner crossed the Sahara in this. Just a thought, a camel is far less comfortable, but they rarely break down. Swings and roundabouts. 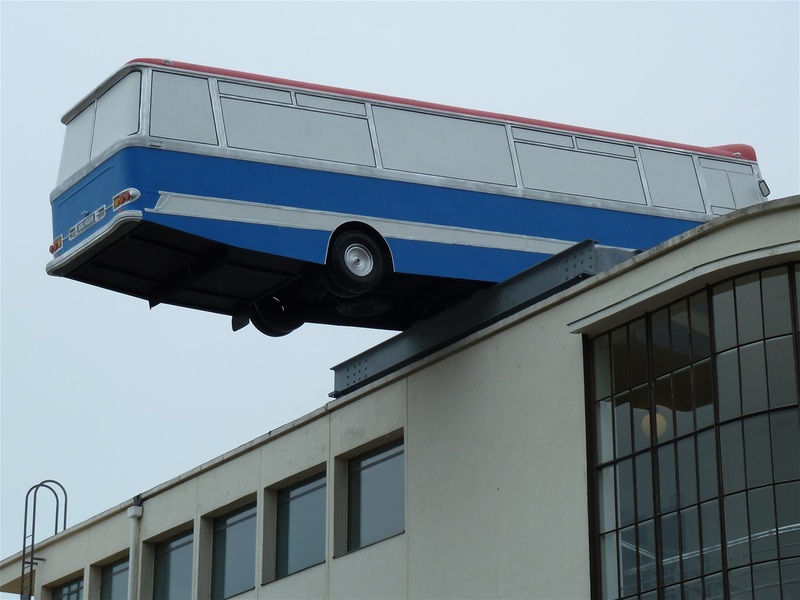 Recreating the Italian Job or just bad parking? 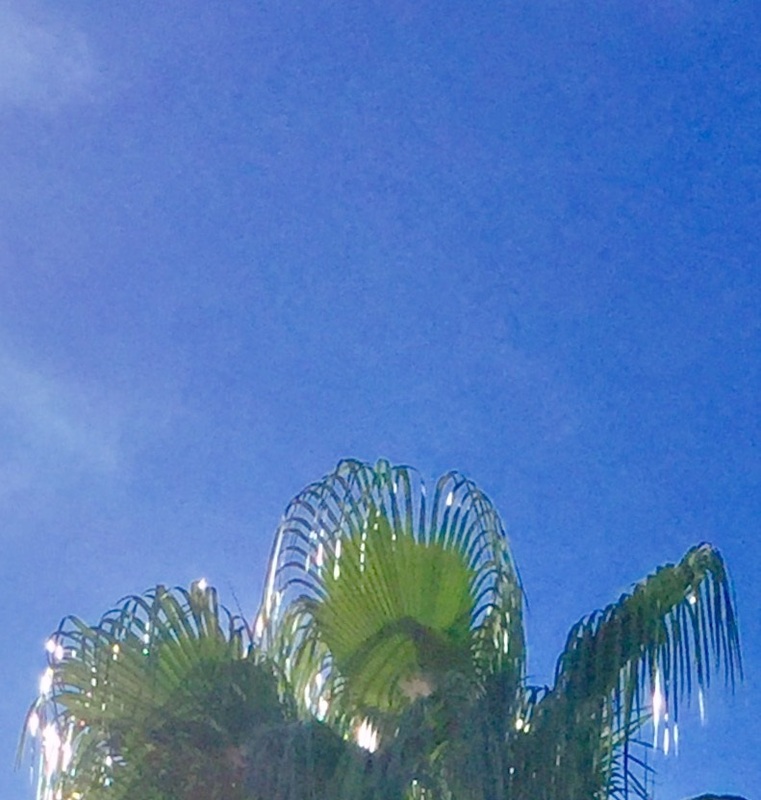 Arty pic of palm tree against a blue sky. Okay, don't give up the day job.